leaving alot of nnu income prospects frustrated. 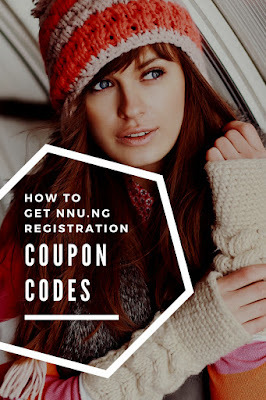 But there seems to be a light at then end of the tunnel atlast with the introduction of nnu.ng registration coupon codes and automatic signup with Atm Card. This is a very big relief for nnu income prospects and you can now register and activate your nnu income account at the speed of light with any of the 2 payment options. So no more waiting forever for your account to be activated! 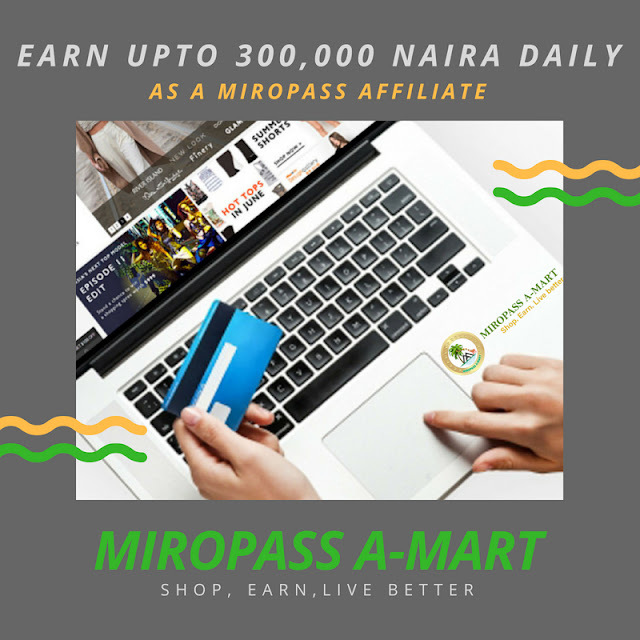 There NNU registration and payment with Atmcard is the best option to register and activate account because it's stress free, faster and you will not need to deal with third parties like the Coupon code sellers. So how can one register for the nnu income and Pay with AtmCard? 2. 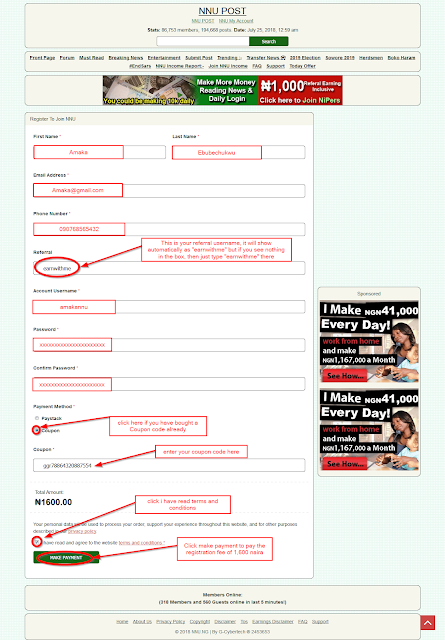 Once on the registration page, enter you Name, phone number, email, username and password. 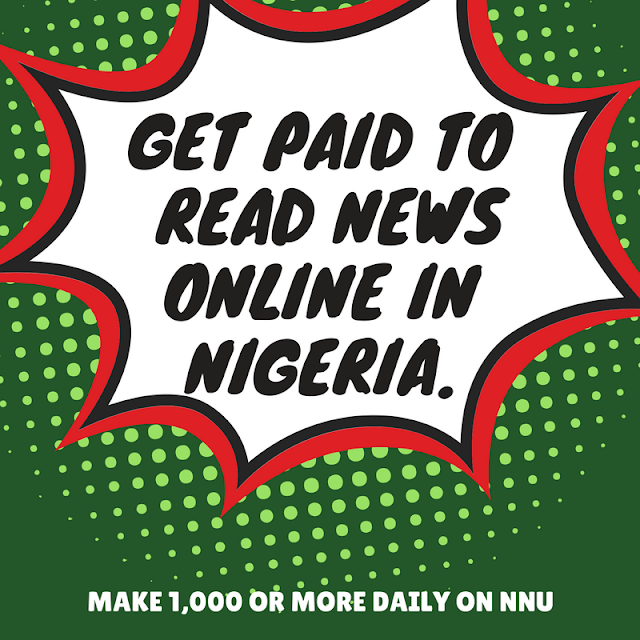 On the other hand if you want to activate your NNU Account with Coupon code, the first thing you have to do is get your nnu income coupon code from the approved agents/distributors. 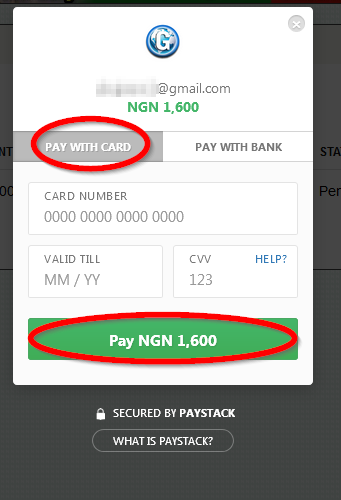 So how do you get the nnu.ng registration coupon code and Activate Your Account? sell coupon codes to members that need such for registration. The cost of the nnu.ng registration coupon code is just N1,600 so nobody should pay any agent/distributor more than that. 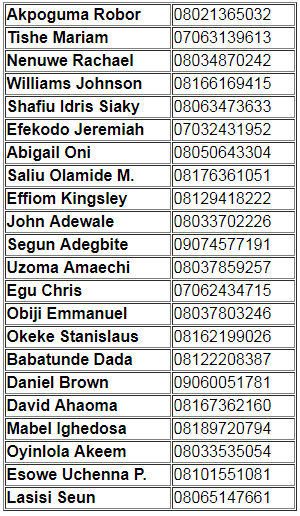 Below is a list of the agents/distributors of nnu.ng registration coupon codes so you can buy directly from them and come back here to complete your nnu income registration. 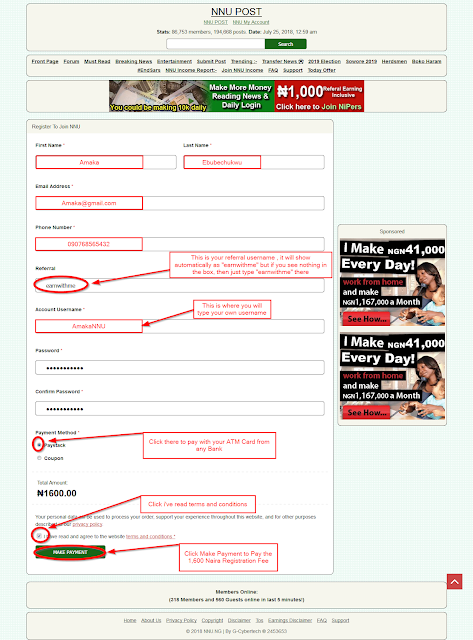 How to chat with NNU coupon Code Agent. Hi Do you still have NNU Coupon code for sale? payment for 1 NNU Coupon Code"
"Can you confirm the payment and send my coupon code"
Once you get your coupon codes, then follow the steps below to complete your registration and start earning on NNU income. 8. 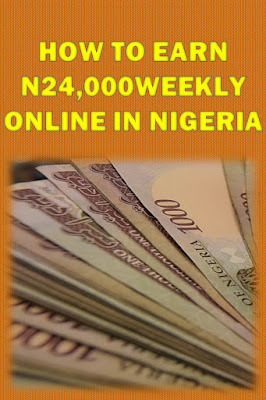 Your Account will be activated immediately and you can now Login and start earning. 9. Before you start the daily tasks on NNU Income, go to payment settings tab and add your Bank Account details so that you can cash out your earnings on the NNU income Opportunity. I wish you happy earning on the nnu income program. I had already received confirmation email but my account is still pending confirmation. What's the matter? They are working on it, jut be patient your nnu income account will be activated. I made payment, they debited me and their has been no email no activation, so what could be the problems and how can it be ratify? I tried to pay, bur wen am abt to pay dy said dy will send an otp to my number nd gmail, but I did not receive any mesg? it means you have already registered before. If you know the username and password you have used before, all you have to do is try to login and activate your account with the coupon code you bought or send email to support@nnu.ng. the content should include the email you used to register and the coupon code you want to use to activate the account. Have also paid mine too which is 200 but my name is not in the platform. Y? I've been trying to register my downline. I registered since on the 21st of this month and I have been debited from my account yet my account is still on pending, why? Pls have registered successfully but I tried to login link at nnu page but is always unavailable why? Can I use one ATM card to make payments for more than one account. I have request for withdrawal since on the 23rd of August, but I have not see any payment o. A friend of mine asked me to pay to his account so that he can register please is there anything like that ? Must u bring some body to join nnu before u will be considered as a registered person? I was trying to register andwhen i got to pay, it was asking for my bvn so i stopped. What's the way out ? why cant I log into my account, recently its been telling me incorrect password, please what could be the problem. please I need to learn about the withdrawal process because, I have tried about three time still don't get my alert though I have followed the due process. Please I need better way to go about this! P\s, I registered but when I tried to make payment, it delayed and I cancelled it. Now I can't make payment again because when log in to retry payment, I see "Transaction Failed ....cancelled" =what should I do? ?